Why do I need one and what is it? All employers are now required to carry out a Fire Risk Assessment. The File of Evidence Audit - the building, its uses, activities and fire safety measures. The Fire Safety Management Audit- how the Responsible Persons manage fire safety. The Fire Safety Training Audit - what Fire Safety Training or instruction is received by users of the building. You will receive a clear report showing what action you need to take. A comprehensive Report and Action Plan is provided detailing any significant findings and classifying them according to the level of risk, showing who is responsible and the degree of urgency with which they should be addressed. As you would expect, we have experienced and qualified auditors and carry professional indemnity insurance. Our reports are easy to follow and very user friendly. Ensuring your business premises are compliant with Fire Safety legislation is essential. 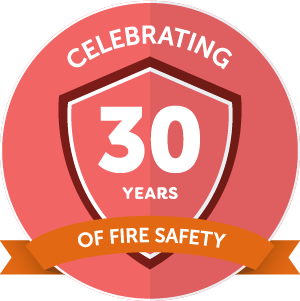 Under past legislation, the Fire Authority would issue a Fire Safety Certificate to demonstrate that the workplace met the required standards of fire safety.